Why should we care about social policy language? We should care about social policy language because both scholars and practitioners would gain from understanding where the key concepts they use come from, and how their meaning changes over time and from country to country. In our book, Analysing Social Policy Concepts and Language, with the help of our contributors, we systematically explore the language of social policy, using a comparative and historical perspective. The volume features discussions about social policy concepts and language in 12 advanced in industrial countries (Britain, Denmark, Finland, France, Germany, Hungary, Japan, Korea, Netherlands, New Zealand, Poland, Sweden, and United States) as well as 3 transnational organizations (European Union, Organisation for Economic Co-operation and Development, International Monetary Fund and the World Bank). In these chapters, leading social policy scholars analyse key concepts like “welfare state” and “social security,” and their development over time. Taken together, these chapters provide rich evidence about the importance of social policy concepts and language for welfare state analysis. The starting point of our volume is that social scientists, historians, and linguists have long noted that the terms, metaphors, and concepts we use are far from innocent and are closely tied to political struggles and international exchanges. Therefore, studying terminology and the formation of concepts are an important part of both political and policy analysis. This is also the case when it comes to social policy. 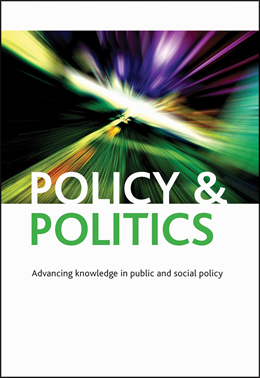 The “conceptual” and “cultural” turns in political history and the growing emphasis on the role of ideas and discourse in social science research have directly inspired many contemporary social policy researchers. Yet, before the publication of our volume, relatively little had been written about social policy language and concepts, in the strict sense of the term. There are two obvious reasons for taking a closer look at social policy concepts and language. First, the words researchers, experts and policymakers use to make sense of social policy need to be properly defined and understood in their proper historical and international context. In recent years, researchers have rightly complained about the vagueness of core concepts used in contemporary social policy debates. 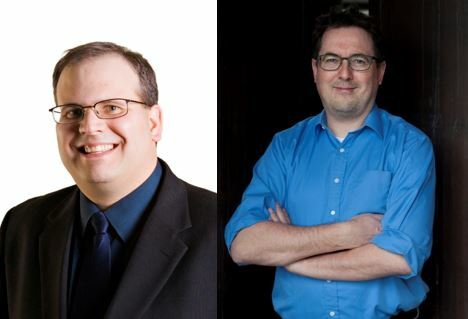 For instance, scholars like John Veit-Wilson and Daniel Wincott have criticized the tendency among social policy students and practitioners to use the concept of “welfare state” without offering any coherent definition of it. This is why there is an urgent need to properly define core social policy concepts and to analyse their changing meanings and boundaries. As demonstrated by the chapters in our volume, even the most prominent key concepts such as “welfare state” and “social security” have changed significantly over time and their meaning still varies considerably across nations. Second, we also need to analyse much closely the political use and the consequences of social policy language. Welfare state concepts and semantics are not innocent, something that becomes clear when taking a closer look at the development of national social policy language. Here we find examples of political struggle over the definition of key concepts, the political framing of rhetorical re-descriptions and semantic innovations. One illustrative example is the use of “dependency” not only in the United States S context but also in a number of European countries. In fact, critics of the “welfare state” have often demonstrated the political importance of social policy language. Take the example of the neo-liberal language of welfare reform advocated both by national politicians and transnational actors. Another example is the link between changes in political regimes and changes in social policy language. Poland and Hungary are clear-cut illustrations of this, as the shift to and out of state socialism directly impacted social policy language. Countries that moved from authoritarianism to democracy like Japan and Spain also illustrate the relationship between change in political regime and change in social policy language. In other countries, social policy language is characterized by a higher level of stability and more incremental forms of change. Often these are countries with relative large and mature welfare states such as France, Germany, and the United Kingdom. The empirical findings featured in our volume clearly demonstrate why analysing social policy language should be part and parcel of social policy analysis. The main goal of Analysing Social Policy Concepts and Language is to popularise and legitimise the comparative and historical analysis of social policy concepts and language. Our systematic approach opens up a series of questions that need to be addressed more thoroughly by future social policy research: What is the relationship between national and transnational social policy language? What is the politics of translation of social policy concepts from one language to the next? What is the relationship between social policy language and institutional change? Why are some social policy concepts more stable than others? How does social policy language affect (class, gender and ethnic) inequality and marginalization? Overall, we do hope many scholars will follow the path traced in our volume by considering the need for an analysis of social policy concepts and language, which is an understudied but essential aspect of social policy research. Daniel Béland is Professor and Canada Research Chair in Public Policy at the Johnson-Shoyama Graduate School of Public Policy. Klaus Petersen is Professor and Director of the Centre for Welfare State Research at the University of Southern Denmark.